Ephedra is a popular diet pill that first gained mainstream popularity in the late 80s and early 90s. Its main ingredient—Ephedrine—has a somewhat notorious background. In medicine, ephedrine—which is derived from the various plants in the genus Ephedra family—is predominantly used for treating low blood pressure, asthma, and obesity. Despite ephedrine’s various positive effects, however, its negative properties may outweigh the good ones, especially when taken over extended periods. Some of these cons range from less severe effects like nervousness, anxiety, and vertigo to more serious ailments like heart problems, etc. Consequently, Ephedra was banned in the U.S. in the year of 2004. Even though there was insufficient proof that Ephedrine, in smaller doses, can have long-term harmful effects, authorities deemed it dangerous and banned it from public use. What are the dangers of Ephedra? Dangers of Ephedra include nervousness, anxiety, dizziness, vertigo, headache, nausea, insomnia, palpitations, and sweating. Experts claim that Ephedra can lead to health risks such as increased blood pressure and heart problems. Ephedra can lead to serious health problems inf mixed with other medications, especially asthma and hypertension medication and stimulants such as caffeine. Ephedra pills are most well-known for their miraculous fat-burning properties. One of the greatest secrets of this naturally extracted chemical is that it targets the brown fat cells, as opposed to just white ones, as well as dormant fat stores in the human body. On the one hand, this is an expedient way to get rid of excess fat efficiently; on the other hand, however, some experts claim that it carries various health risks, such as increased blood pressure and heart problems. On the other hand, ephedra diet pills are extremely helpful for anyone who is dealing with excess weight. Most people are looking for an expedient and comfortable way to lose their unwanted weight, be it 5 lbs or 35 lbs. Ephedra pills are also easy to acquire since they are sold as over-the-counter (OTC) pills, so users do not have to worry about getting a doctor’s prescription. However, besides its amazing fat burning, energy boosting and appetite diminishing properties, we have to consider a few additional cons for safety reasons. It is important to note that ephedrine-based pills interact with other substances such as caffeine, asthma medication, aspirin and diabetes medication, amphetamines, alkaloid derivatives, narcotics, hypertension medication, and stimulants among a few others. Consequently, if the user is not careful, they may experience health complications. Consequently, an asthma patient or a caffeine addict is highly advised to seek professional advice if they opt to become an avid ephedra diet pills user. 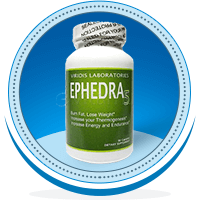 Despite the various side effects, ephedra pills are still among the top weight loss supplements. One of the most well-known natural fat burners can be found under the name of Black Mamba. This revolutionary diet pill is hailed for its all-natural ingredient as well as appetite-suppressing qualities. Reportedly, this pill can help one lose a great amount of fat in a matter of weeks. Its secret lies in its super ability to target dormant fat stores as well as boost your energy levels. Moreover, reviews also indicate that ephedrine increases mental awareness and allows users to experience euphoria for extended periods. Additionally, users of the Black Mamba are only required to take it once a day, as opposed to 3 or 4 times a day. A satisfied user named Catherine had the following to say about taking a similar ephedrine-based diet pill called Lipodrene: “The energy it gives me really helps with workouts and with work in general – I’m more focused and get more done. Because of the potential side effects, I don’t really recommend it to people I know as it seems to affect some people more than others, but for me, it’s been a lifesaver in terms of finally being able to lose some weight.” (Lipodrene Review by Summer Banks). Purportedly, the majority of users have found ephedrine-based pills very useful and harmless, but unfortunately, not everyone’s story has a happy ending. Michelle Rumsay is a middle-aged woman, who opted for an ephedrine-based slimming pill, but soon regretted her decision. The over-the-counter drug left Michelle with a serious heart condition and drastically shortened her lifespan. During an interview conducted in 2012 Michelle R. confessed “…the pills made me feel sick and I could feel my heart beating erratically. It was frightening, but my appetite disappeared.” She also added, “I couldn’t stop crying when the doctor told me what was wrong…I thought about all the experiences I’ll miss and the horrible death I’ll have, bed-ridden and breathless…” (Mail Online). Lilla Allahiary is another young woman who fell victim to the dire side effects of another ephedrine-based slimming pill called Reductil. Fortunately, Lilla’s experience was slightly different—she did not suffer the same life-threatening ailments as Michelle, but she did develop grave sleeping problems that greatly diminished her quality of life. Obesity is a global problem, which has been on the rise for the last few years. Today, instead of exercise and a healthy diet, people often seek a quick fix—and this is where ephedra diet pills come in. The main ingredient—ephedrine—has various positive and negative effects on the human body. Those interested in ephedra pills are highly advised to seek professional advice before making ephedrine use a daily habit.